In the previous two blog posts I have discussed SPF and DKIM as a way of validating the authenticity of email messages. SPF is using an SPF record in public DNS where all legitimate outbound SMTP servers for a domain are listed. 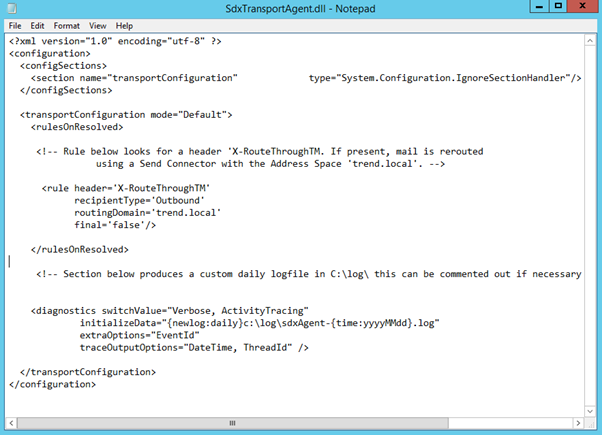 A receiving SMTP server can check this DNS record to make sure the sending mail server is allowed to send email messages on behalf of the user or his organization. DKIM is about signing and verifying header information in email messages. A sending mail server can digitally sign messages, using a private key that’s only available to the sending mail server. The receiving mail server checks the public key in DNS to verify the signed information in the email message. Since the private key is only available to the sending organization’s mail servers, the receiving mail server knows that it’s a legitimate mail server, and thus a legitimate email message. 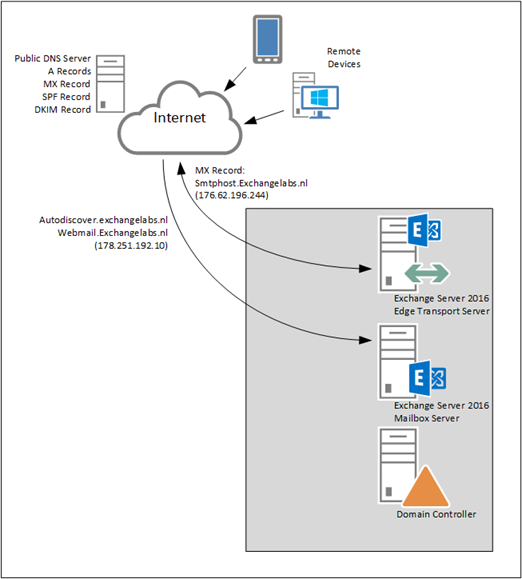 There’s an Exchange 2016 CU2 Mailbox server hosting several Mailboxes, and there’s an Exchange 2016 CU2 Edge Transport server. 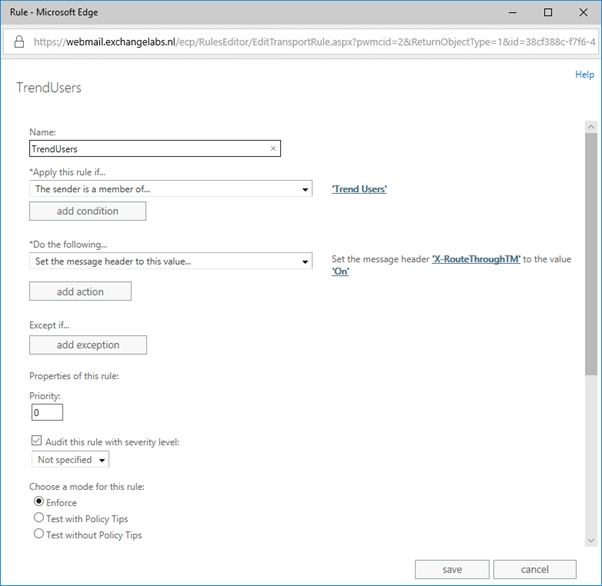 Using Edge Synchronization all inbound and outbound SMTP traffic is handled by the Edge Transport server. 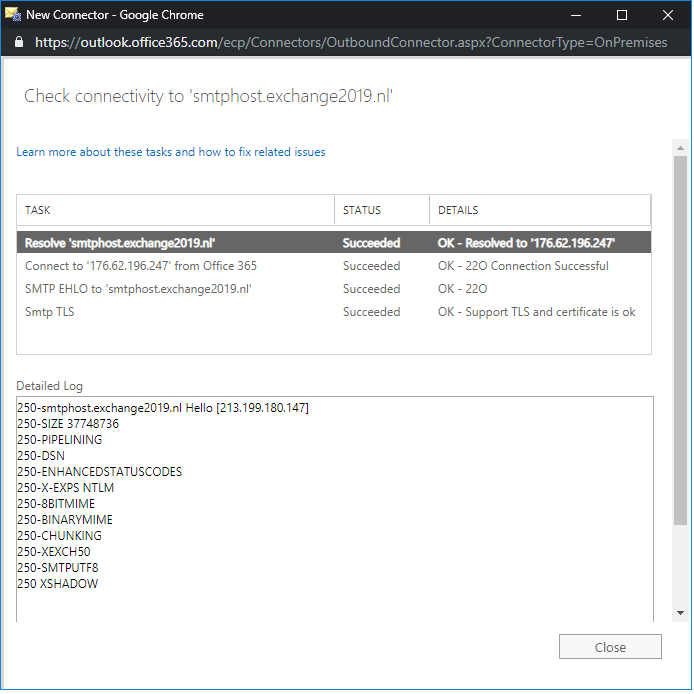 In the previous two blog posts an SPF record was created and implemented, and DKIM including a DKIM signing module on the Edge Transport server was implemented and functioning correctly. In the previous blogpost I have been discussing how SPF works and how it uses public DNS to validate the authenticity of the sending SMTP servers. When SPF is implemented correctly a receiving mail server can validate is the sending mail server is allowed to send email on behalf of the sender or his organization. In this blogpost I will discuss DKIM signing as an additional (and more complicated, and more difficult to spoof) step in email validation. There’s an Exchange 2016 CU2 Mailbox server hosting several Mailboxes, and there’s an Exchange 2016 CU2 Edge Transport server. An Edge synchronization will make sure that all inbound and outbound SMTP traffic is handled by the Edge Transport server. 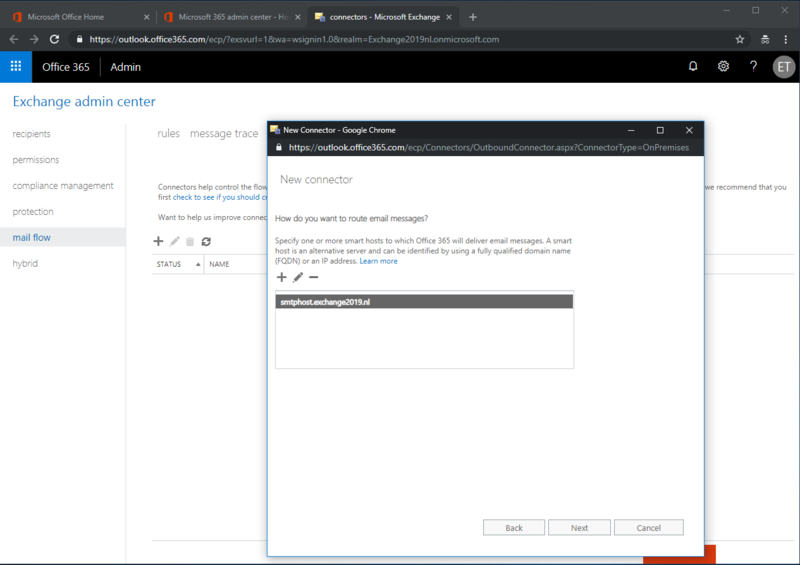 so receiving mail servers can validate that my Edge Transport server is allowed to send email on my behalf, and when mail is originating from another mail server it might well be a spoofed message. SenderID has been used in Exchange as a means for anti-spam for quite some time, as far as I can remember this was first used in Exchange 2010. Related to SenderID is SPF (Sender Policy Framework). 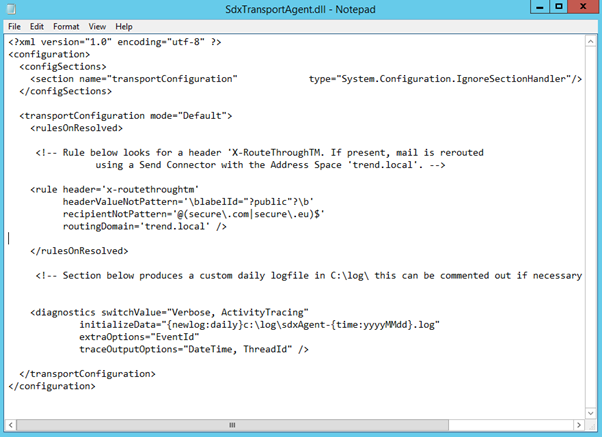 SPF looks like SenderID functionality, but it differs in the way how it checks email messages. 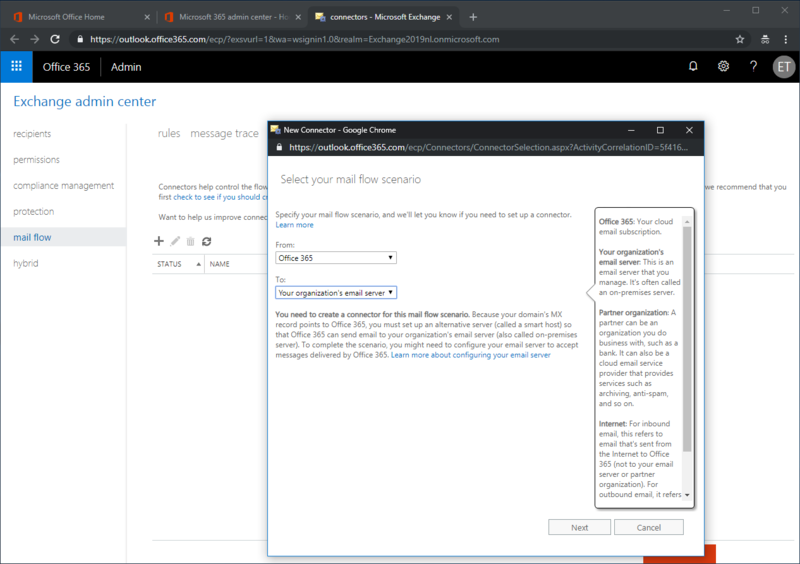 Both use public DNS records with TXT records where information is stored regarding the sending SMTP server, and this information is used by the receiving (Exchange) server to validate if the sending server is allowed to send email on behalf of the sender. Getting more popular for fighting spam are DKIM (DomainKeys Identified Mail) and DMARC (Domain-based Message Authentication, Reporting & Conformance). 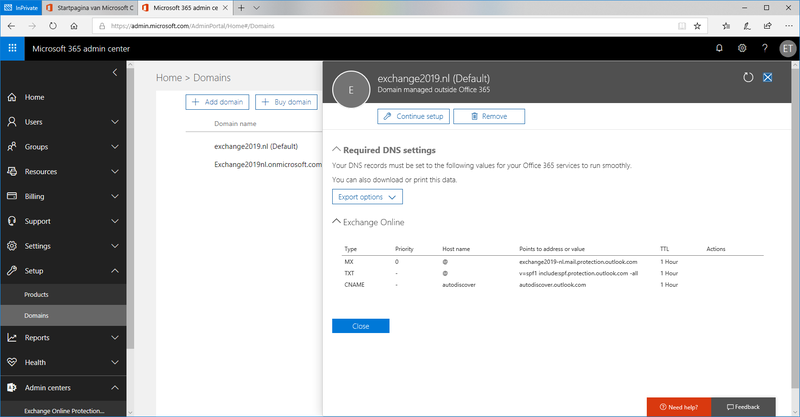 Just like SenderID and SPF, these solutions use public DNS for additional information as well, but since encryption is used most Exchange admin have some doubts about the complexity of DKIM and DMARC. There’s an Exchange 2016 CU2 Mailbox server hosting several Mailboxes. The server is accessible via webmail.exchangelabs.nl and autodiscover.exchangelabs.nl (same IP address, behind a Kemp LM3600 load balancer) and configured with a Digicert UC certificate.